We love technology - and especially those timeless. An example of this may be the Apple Airpods introduced in 2016. Although manufacturers like Xiaomi, Beoplay, Sony, Bose, and others try hard to produce great products headphones, Airdpods still seem to be the best wireless headphones. However, the sound quality does not belong to the best, there are many other useful features. How To Charge Your Airpods Wirelessly? Many users complain about Airpods' packaging – especially about the charging process. The lightning connector is located on the bottom of the box, so charging is not as convenient as placing the phone with wireless charging on the charger. However, there are adapters that enable the wireless charging of the case. So if you're used to wireless charging, read further. Adapters for wireless charging of Apple Airpods (from the left Blandstrs, Skywin, Funxim). Tip: Read our guide on How to order from the US Amazon. It is important to say that wireless charging is not so fast as normal (wired) charging yet. It is so because there are energy loses and thus wireless charging takes longer. There are hundreds of protective cases for Airpods. It is only up to you which one you will choose – there are waterproof cases, cases with keychain, cases with graphics, and many more. 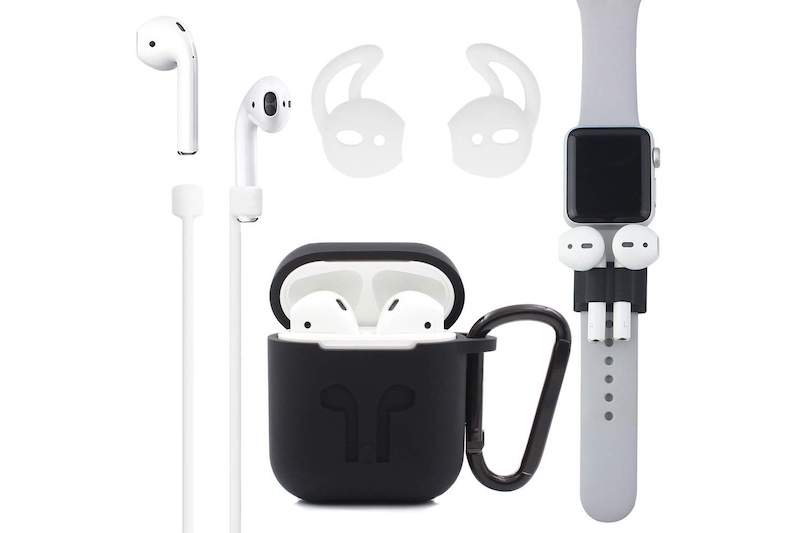 Set by XCITING that contains silicone case, silicone strap, and other "hacks". It's Not Your Style? No Problem! Although the choice of protective cases is really wide, not everyone has to choose. Somebody may not like the structure of the material or the case itself. There are also special "skins" that you can stick on the Airpods case. For illustration, we attach a video on how these skins are applied. However, there are more hacks! Colorware has a simple configurator on their website so you can choose your favorite color for the charging case and even the headphones – independently of each other! So if you do not like standard white, you can choose from both glossy and matt or even metallic colors. 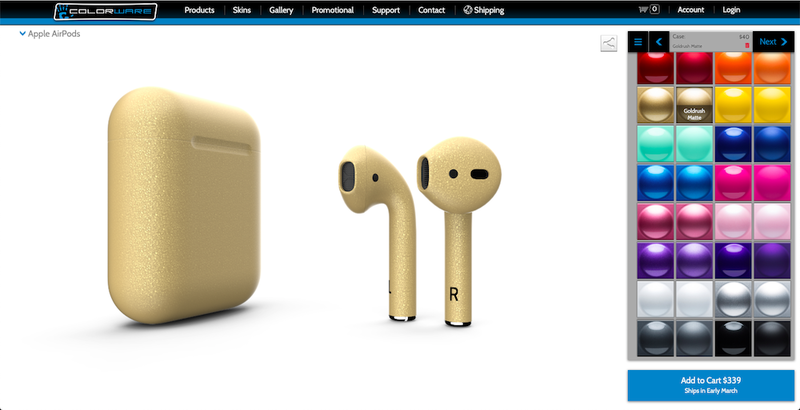 Thanks to the online configurator by Colorware, you can get Airpods in original colors. Airpods As A Help For People With Hearing Disability? Apart from the fact that you can personalize Airpods, did you know they offer the Live Listening feature? Originally, this feature should help people with hearing disabilities. The sound from the iPhone (iPad or iPod) is captured by its microphone, then amplified and sent to the Airpods, which in this case act as a hearing aid. 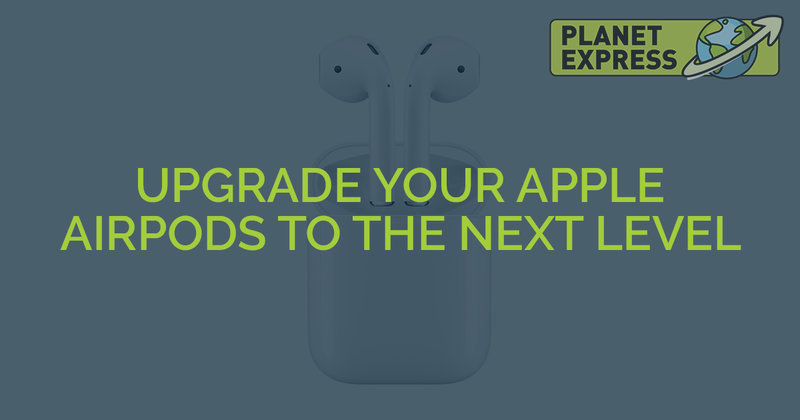 Airpods offers Live Listen feature that you can use in several ways. However, people began to come up with different ways to use this feature. The first thing is to listen to people without their consciousness - you just leave the phone in the next room and sit with the Airpods in the second room. You will hear what people talk about behind the closed doors. The second, much more useful feature, however, is the simulation of a baby monitor. If you have a child at an age when you need to watch it every minute, leave your iPhone next to the child, and whenever the baby wakes up and starts crying, you will hear it through Airpods. 2nd Generation Of Airpods In 2019? Sports and health activities tracking. We see a lot of space for improving Airpods. So we are looking forward to what Apple will come up with. We will, of course, inform you about the new Apple products on our blog.